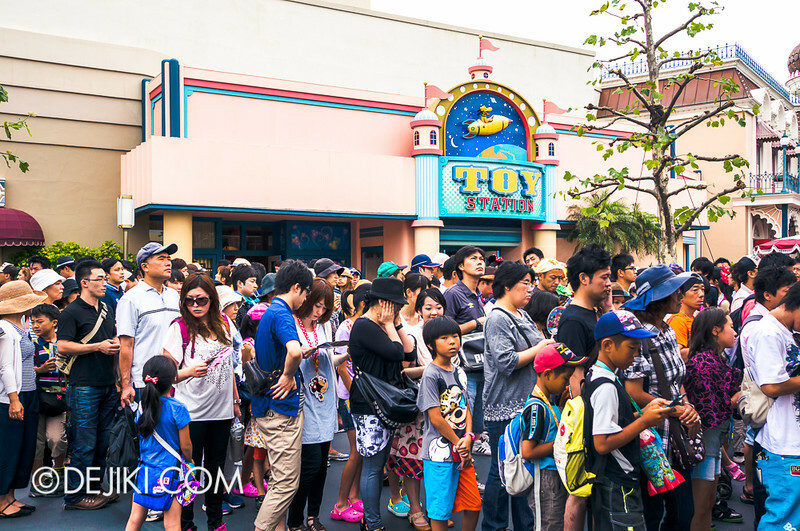 Well, maybe it’s not the most popular (that always changes), but it’s certainly one of the hottest attractions in Tokyo Disneyland. First of all, this is no ordinary “kiddy dark ride”. 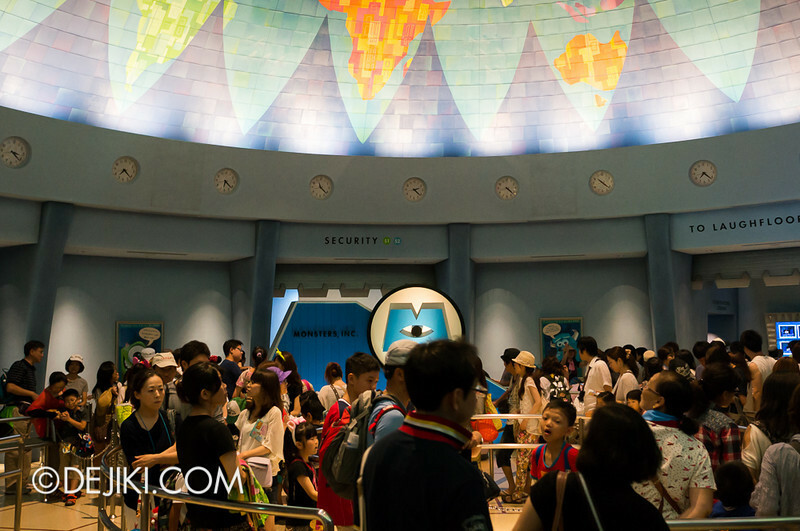 Built at 10 billion yen (~S$123 Million today, not adjusted for inflation), one could only expect the finest theme park experience worthy of a spot in Tokyo Disney Resort. 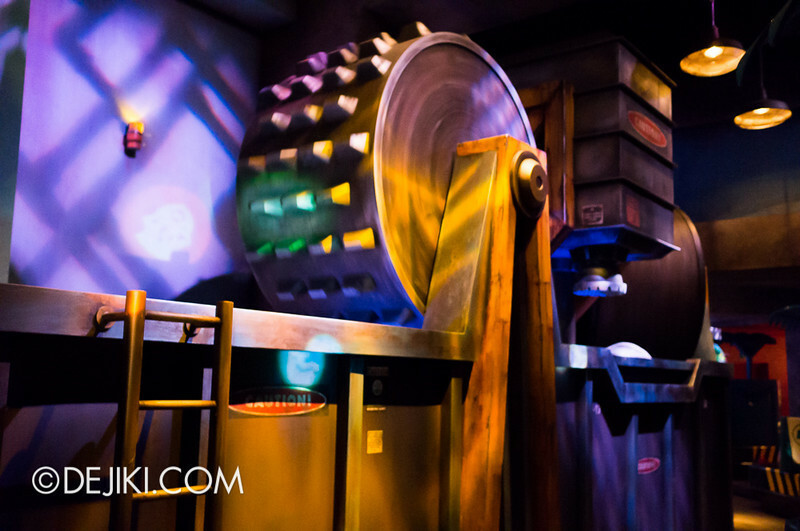 Typical of Disney, this dark ride includes a lot of animatronic figures and special effects. The characters are built to resemble their film form as close as possible – so there’s a lot of furry monsters. 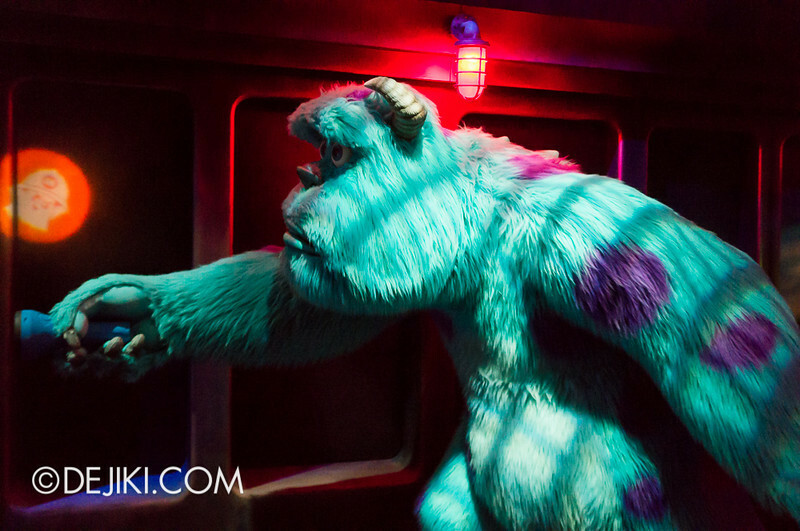 Of course, Sulley appears, full size, in his hulking stature in all the scenes. 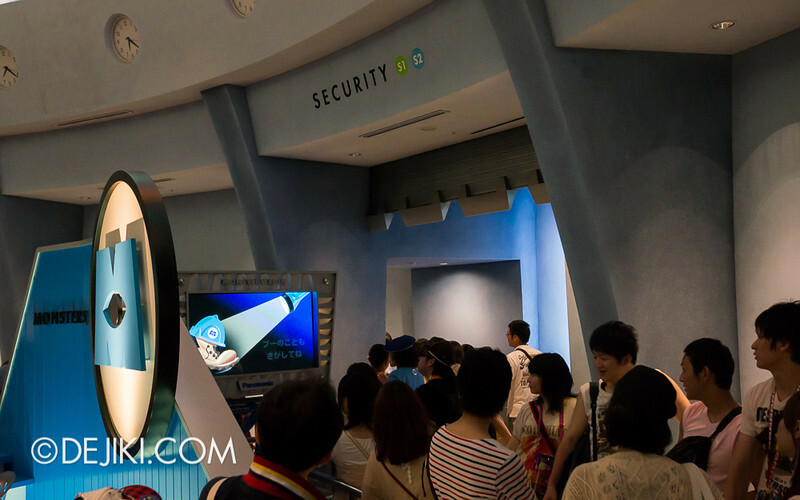 But Monsters, Inc. in Japan has another unique feature: flashlight tag. 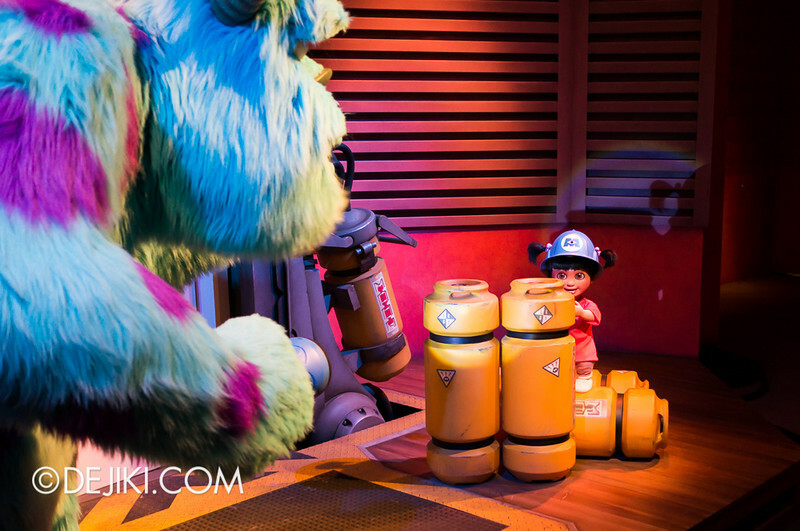 You see, it’s not just animated props and characters – they react to the light from flashlights held by guests. This ride is so popular (and fun) that is has successfully dethroned Pooh’s Hunny Hunt as the park’s “longest wait ever” attraction. 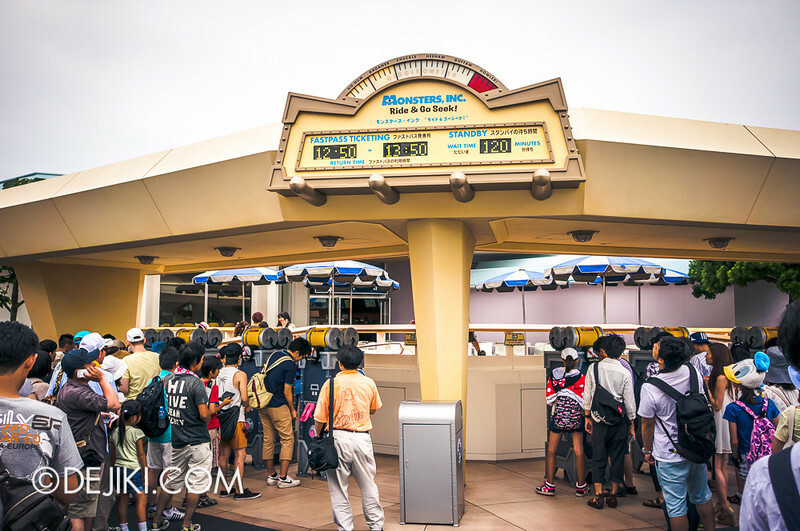 If you don’t do the Morning FastPass Dash for Ride & Go Seek, expect to wait at least 60-120 minutes on standby. The Fastpass queue is so long that it would cram up the street at Tomorrowland that faces World Bazaar. 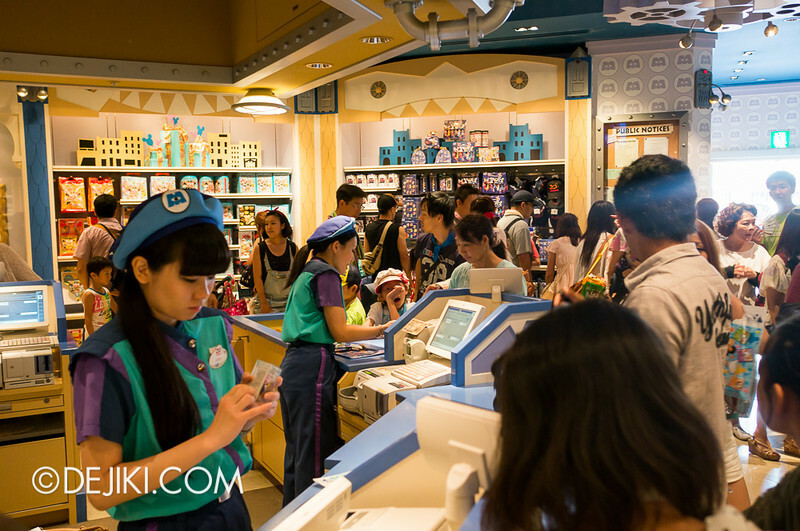 Due to space constraints, the park couldn’t build a special Fastpass holding area like Toy Story Mania. Don’t expect everyone to be courteous here! 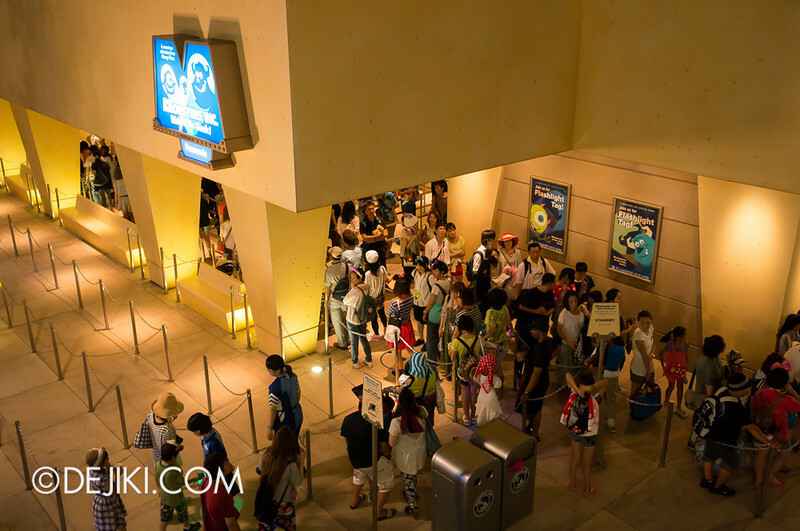 The competition for Fastpasses is so great that there’ll definitely be some pushing and line-cutting. The ride’s Fastpass machine, which “giggles” whenever a Fastpass ticket is printed. 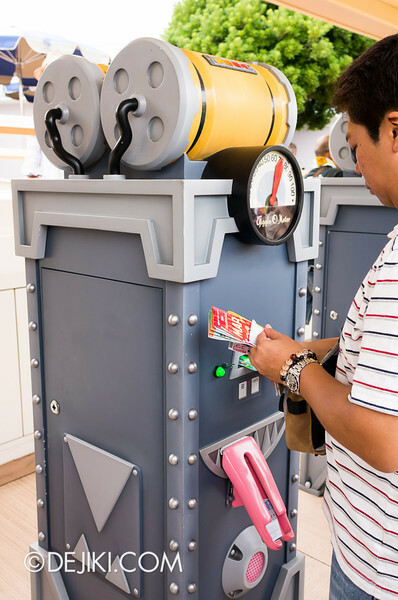 Like the rest of Fastpass machines in Tokyo Disney Resort, there’s a receptacle (at the tip of the “tongue” here) so Fastpass tickets won’t drop to the floor. So thoughtful. 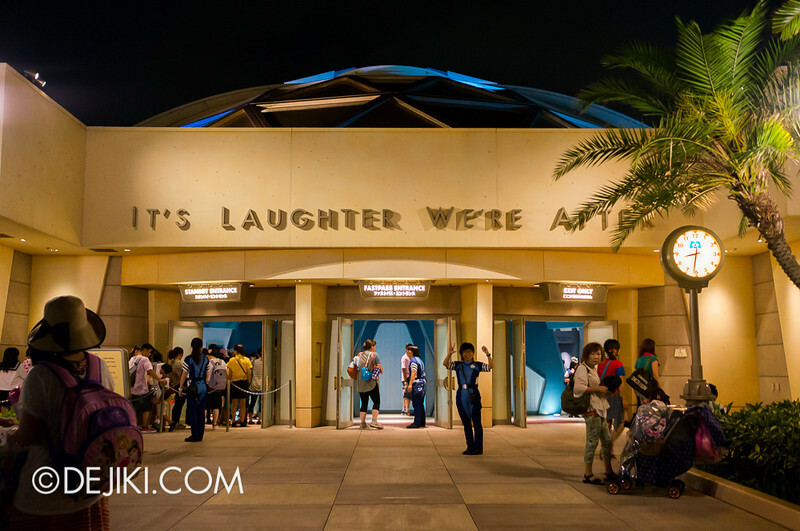 This photo was taken 90 minutes before the park closes, if you notice the clock on the right. If you’re thinking of saving this attraction for the last 10 minutes of the night – please don’t. The line would sometimes close much earlier (say an hour before park closing) so that the entire area could be closed around the same time. 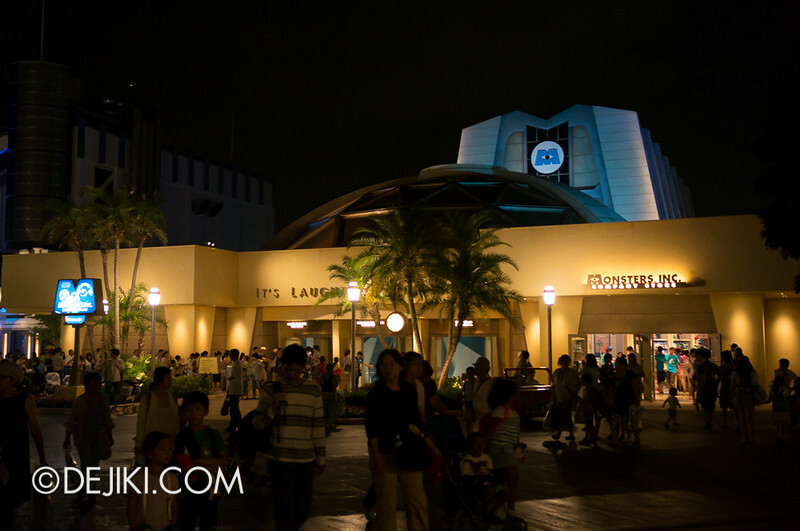 Unlike the other Monsters, Inc. ride (at Disney California Adventure), Tokyo Disneyland has a really beautiful building here that resembles the power plant in the film. 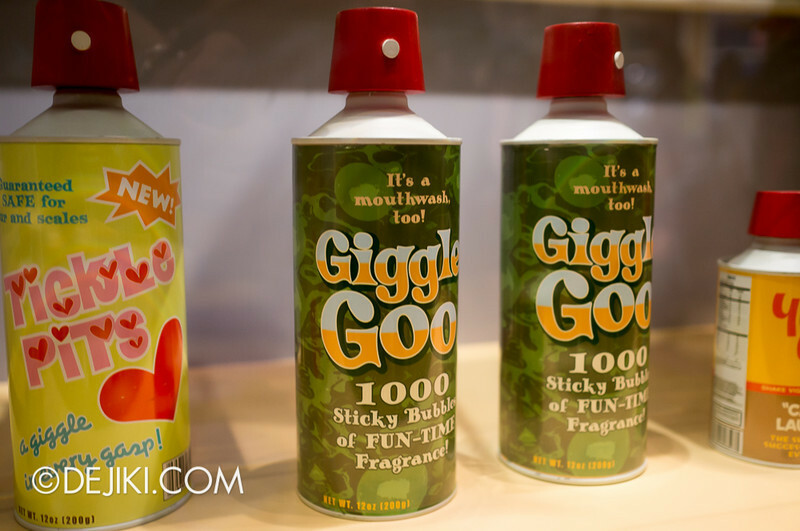 The thing that Monsters, Inc. Ride & Go Seek! lacks (and Pooh’s Hunny Hunt has plentiful) is a beautifully zoned queue. 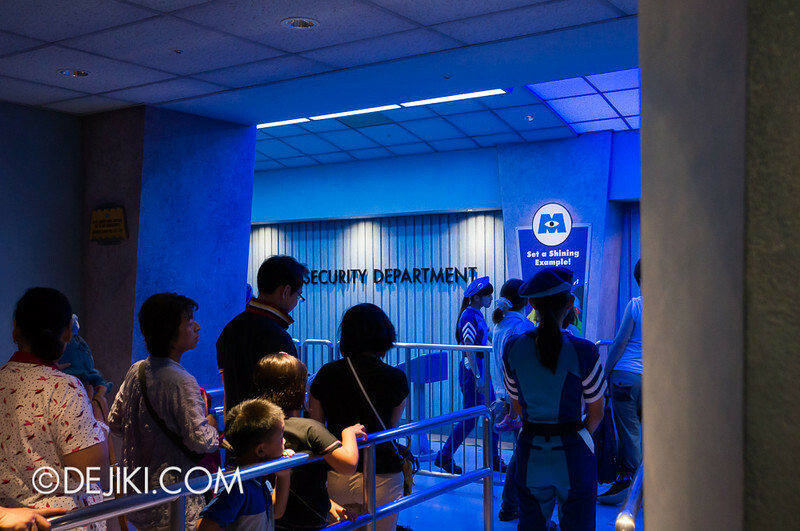 Monsters, Inc. takes place in the power plant, but the queue is only around the exterior and the lobby. The lobby strongly resembles the one in the film, albeit much smaller and not filled with monsters! Apart from colourful posters along the walls, you will be staring at the ceiling mural very often. Nothing quite interesting in the lobby section. 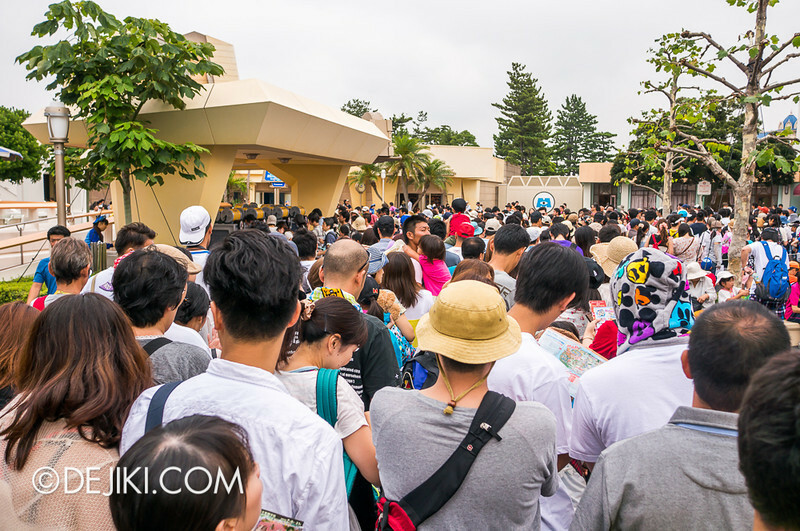 The queue is so long that all you see is tired park guests. Fastpass takes up about 1/3 of the switchbacks here, but the length does not actually matter. 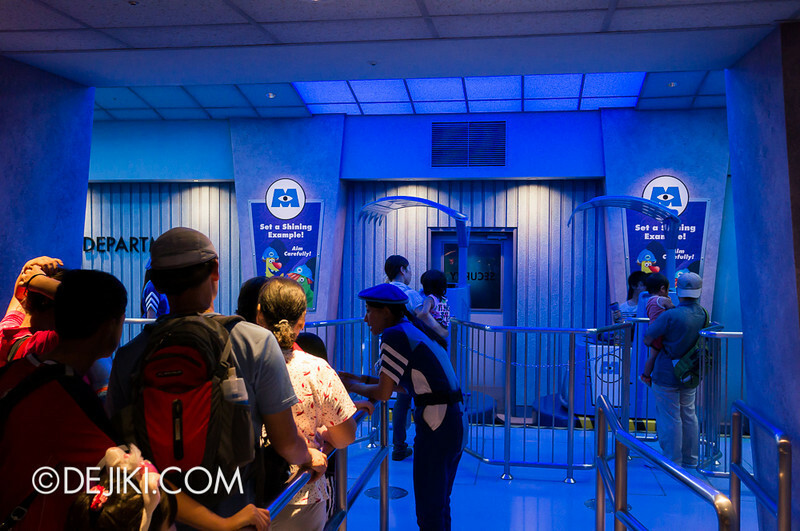 The problem with the long wait is actually… Fastpass. This is one of those rides with medium-low capacity and probably has a very high allocation of Fastpasses per hour. 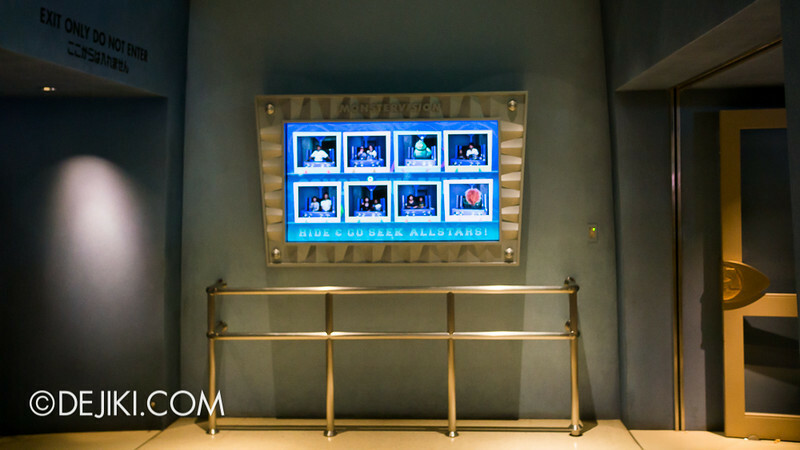 One part of the Fastpass line looks over to the ride exit, where a screen displays photos taken in the ride itself. The photos will constantly rotate and the park does not sell them at all. What is this ride all about? It works as a “sequel” to Monsters, Inc. 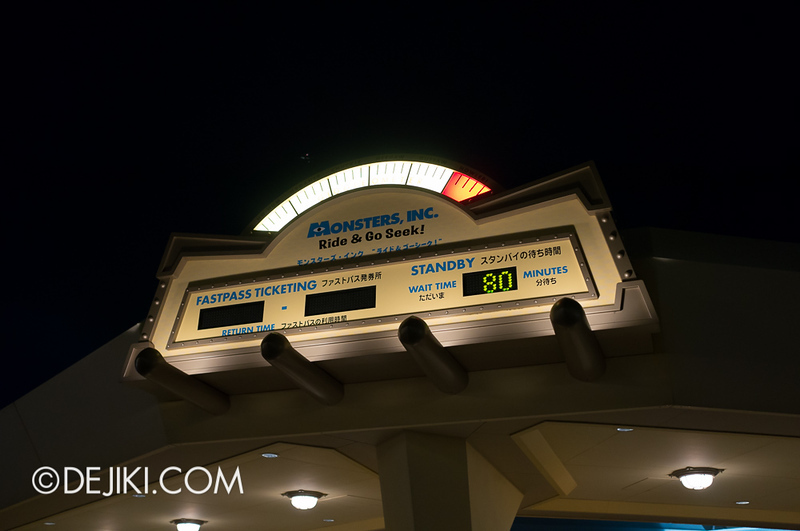 Guests are invited to Flashlight Tag with Boo and the Monsters. 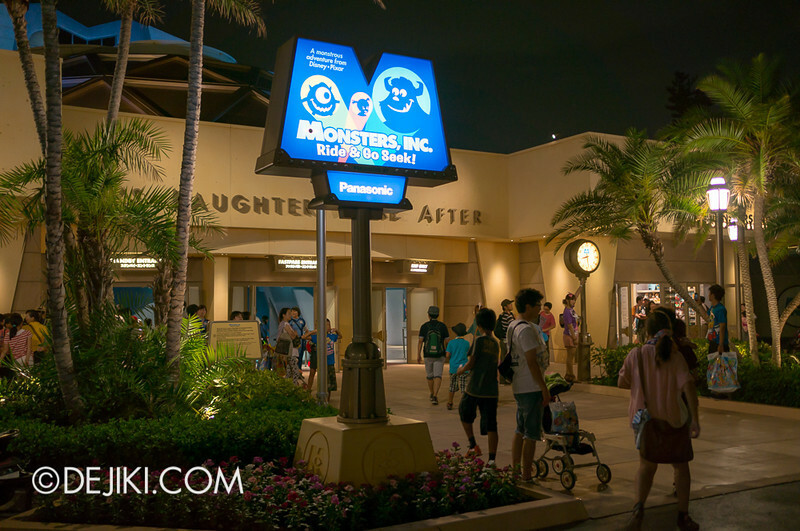 Guests will be whisked through many scenes in the Monster world and use the flashlight to find monsters hiding all over the place. And we’re finally at the loading platform! 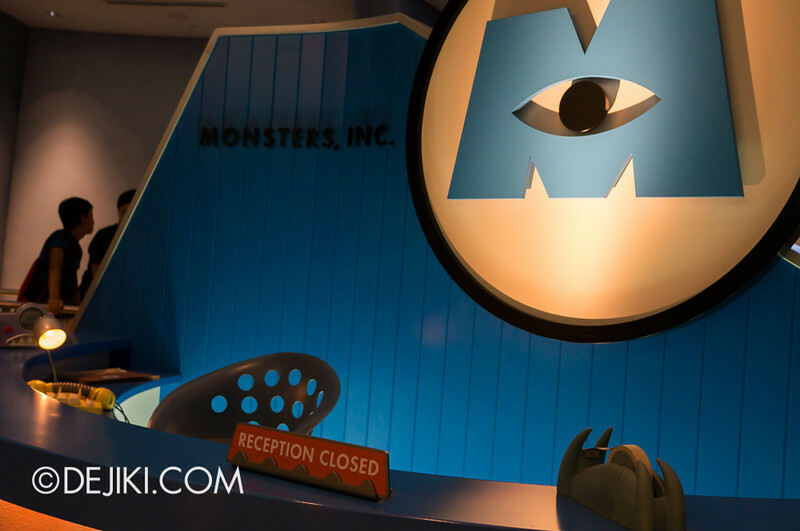 Since we’re at Monsters, Inc. after office hours, we’ll be hitching a ride on their maintenance vehicles. 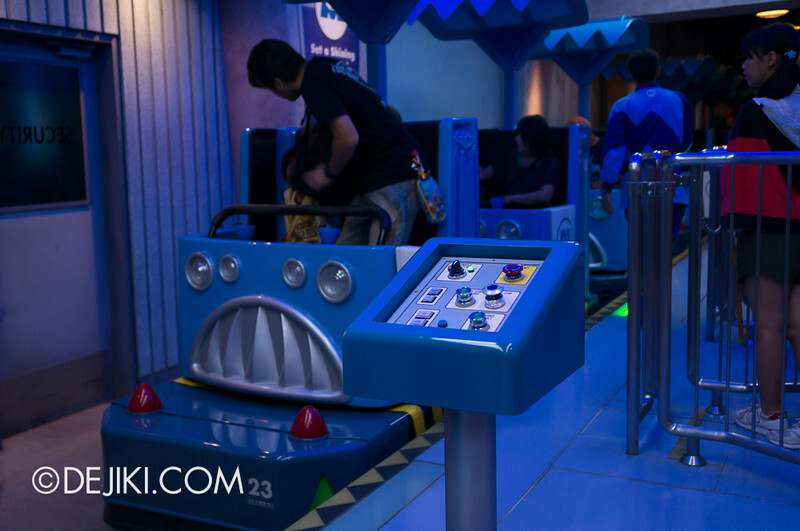 The blue vehicles travel on a track in groups of three, and will spin on their own throughout the ride. I’ve read that this ride uses the similar vehicles as Toy Story Mania. 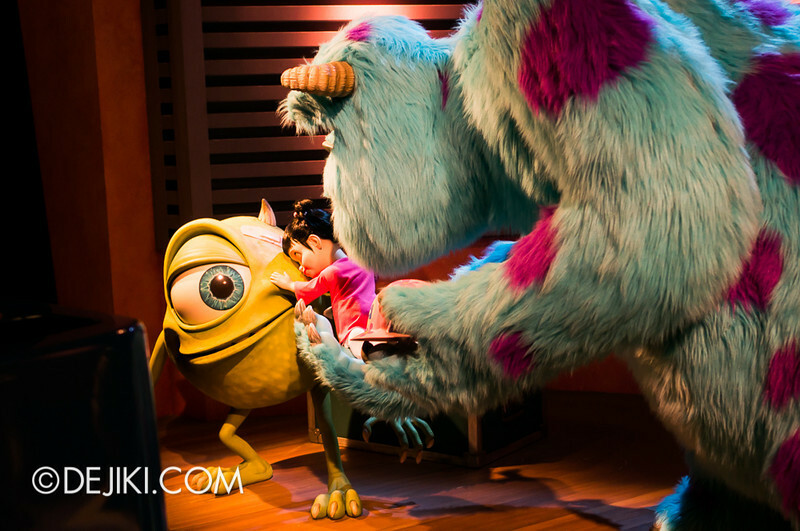 That’s possible, except that at Monsters, Inc. they are definitely a lot smaller. Each car would seat up to three guests (two adults and a kid), although two would be ideal so that everyone has their own flashlight. Mike turns off the power, and the flashlight tag begins! 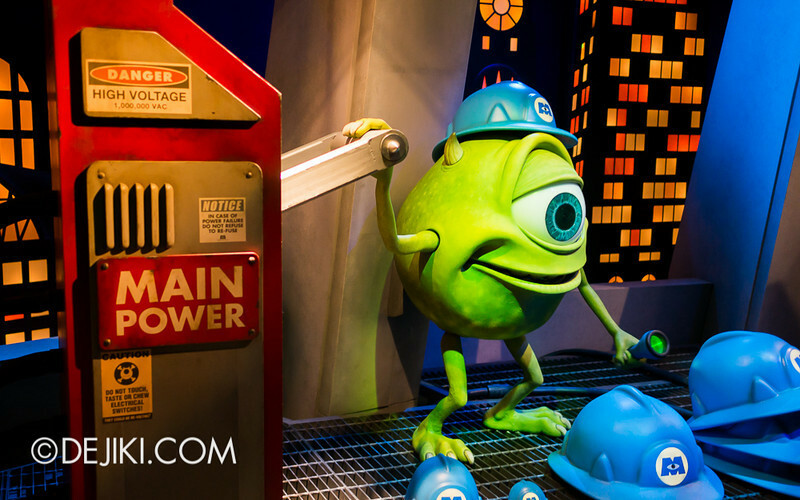 He reminds everyone to shine the light onto blue helmets with the Monsters, Inc. logo. Our little blue vehicles then swerve past Randall (he’s back!) and into the Locker Room. There are monsters in almost every other locker! Each flashlight casts a soft round spot of light with a special symbol, so you know which light’s yours (a problem at Buzz Lightyear’s many and unrecognizable laser dots). Whenever the flashlight beam is “recognized” by the scene, the Monsters, Inc. logo would light up and you’ll hear a bell ding. There are so many monsters to find, so the ride is ever full of bells dinging and monster noises. 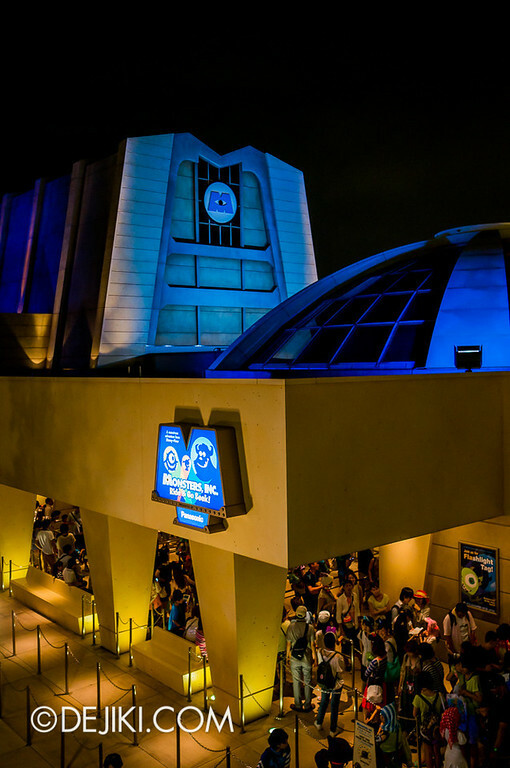 The ride goes around the Scare Floor, Monstropolis and even the Harryhausen’s restaurant. Unfortunately I have no good photos of these scenes as it was very dark. 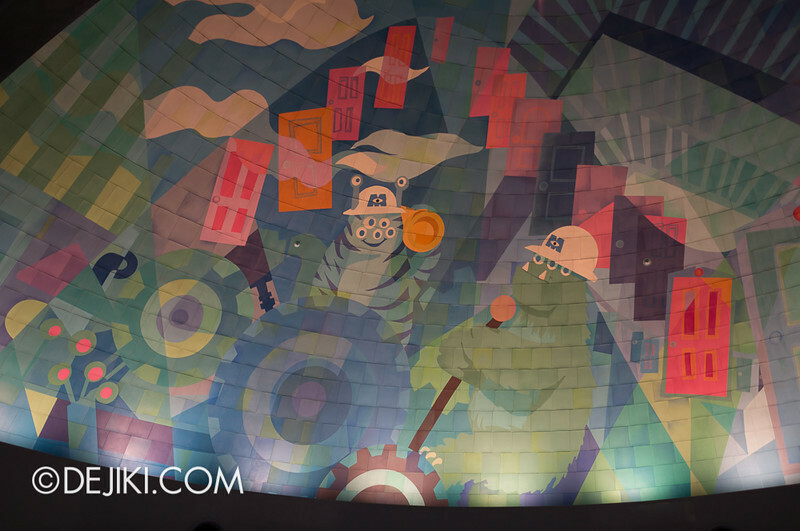 The Monstropolis scene is most impressive. It is full-scaled (very tall!) and has many monsters hanging off different levels. Sulley became worried when he lose track of Boo. You see, Randall (the villain from the film) managed to return to the Monster’s World. 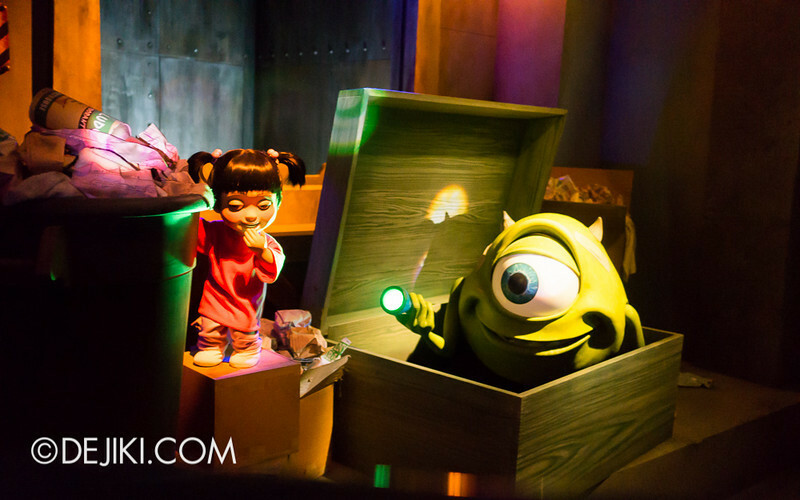 Thankfully, Mike finds Boo hiding behind a trash bin (and inadvertently pushes Randall into a garbage chute). It’s game over! 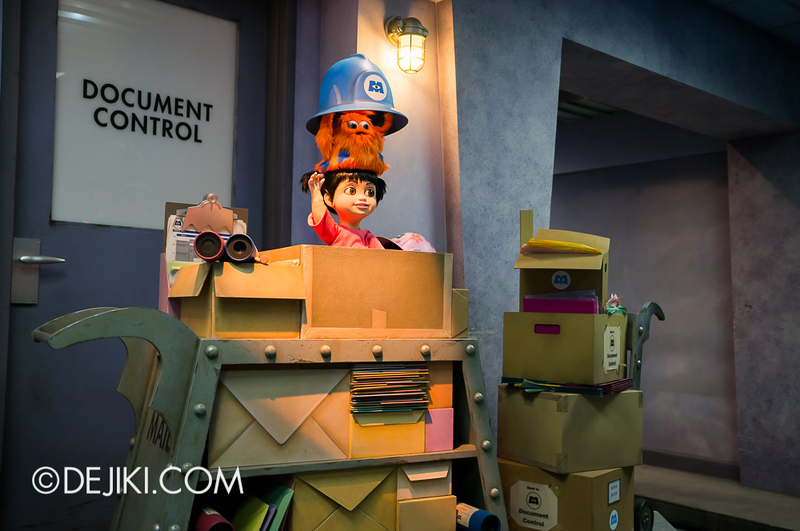 The ride’s most famous scene shows Randall going through a garbage compactor. It is a nice combination of effects that could be ruined when it is overexposed. I believe the park uses the maximum number of ride vehicles that is safe to be on the tracks at any time. However, this means that the vehicles sometimes get held back at certain scenes. I was able to see Randall being squashed into a cube twice, including the prop reset sequence. The night ends with Boo falling asleep. 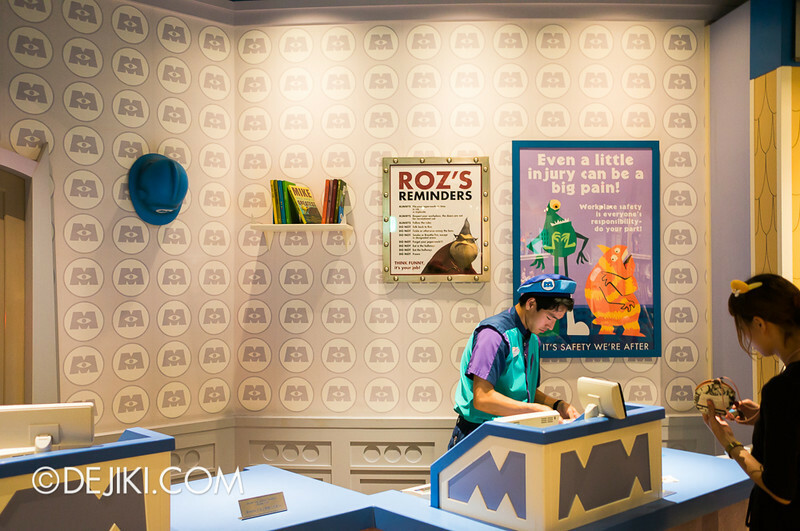 Sulley and Mike send her back to her room, with a present: A helmet in the same style as her door (pink with flowers). Boo manages to sneak out somehow to say goodbye to park guests! 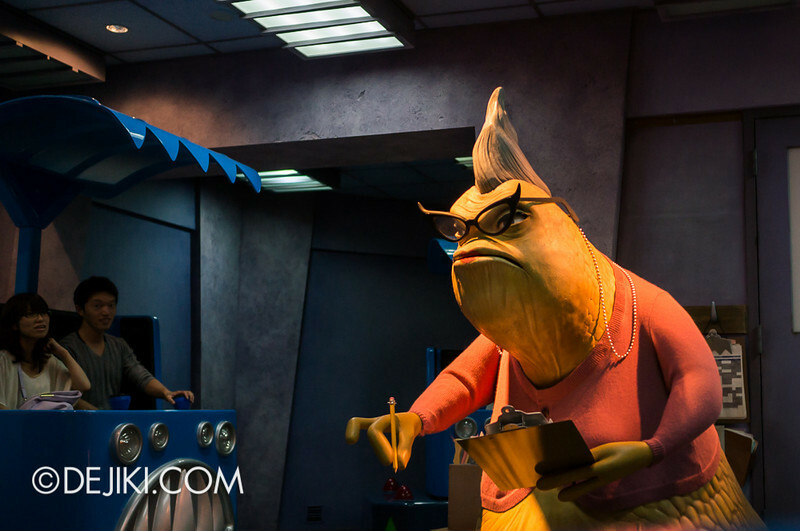 Of course, we’ll never be able to leave the ride without snappy remarks from Roz! 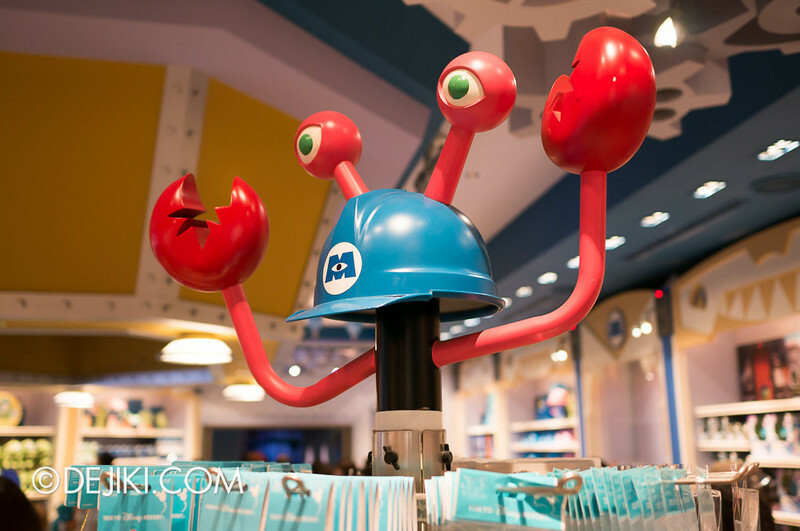 This is an interactive animatronic that talks to guests. She’ll comment on park guests’ appearance and behaviour. I’ve seen and heard her comment on someone wearing Minnie Mouse ears! 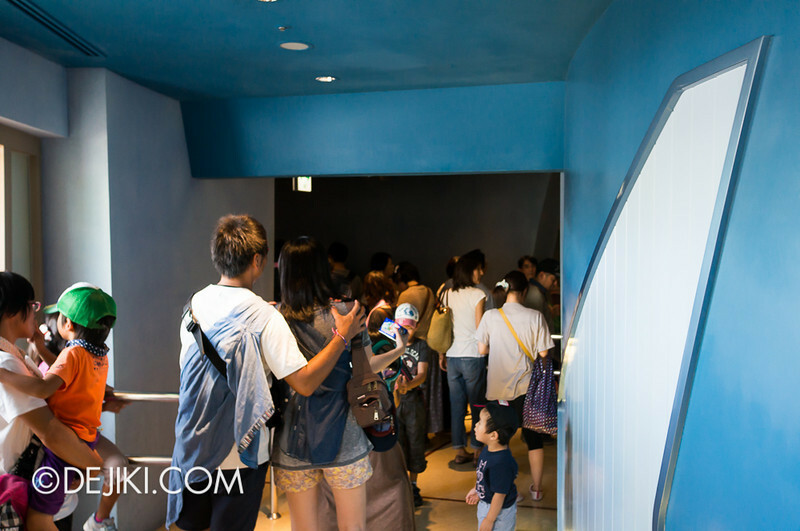 The ride exit leads into the corridor with on-ride photos taken at Boo’s Goodbye scene. You can take photos of your.. photos, but you have to do so quickly with your own camera. 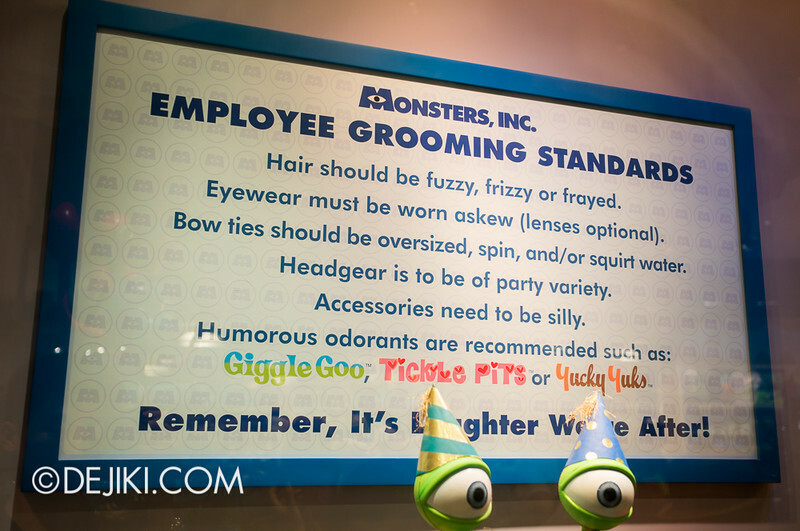 Monsters, Inc. Company Store is a few steps away. 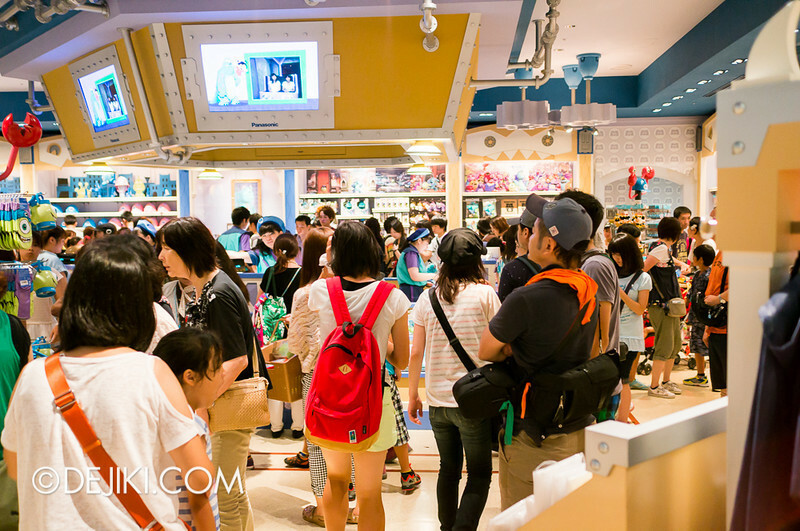 This is one of the most crowded shops in Tokyo Disneyland. It’s not big, but apparently there are a lot of cute things park guests want here. 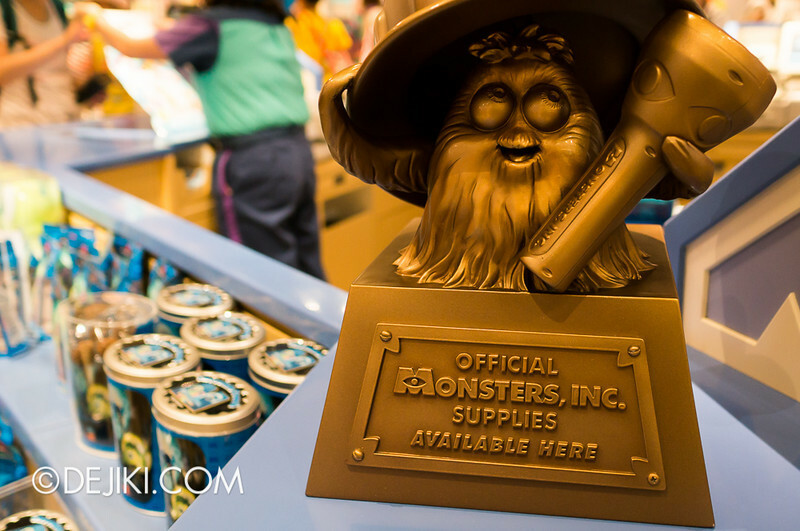 There’s a huge selection of Monsters, Inc. and Monsters University merchandise at the ride exit shop. 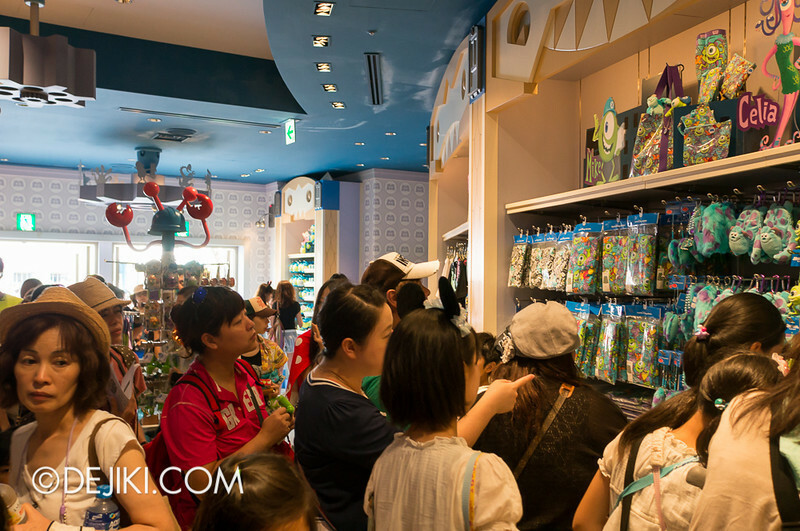 I wouldn’t say that everything here is Tokyo Disneyland exclusive, but most of the goods are exclusive to Japan. Here’s the Squishy keychain plush! 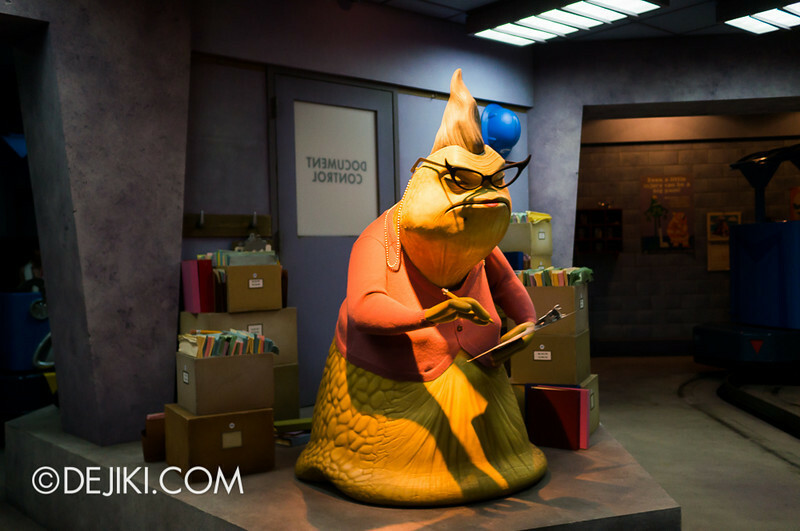 Ride Trivia: This character, specially created for the ride in Japan, is called Rocky. He has a hilariously low-pitched voice and could be seen with Boo at the ride’s farewell scene. 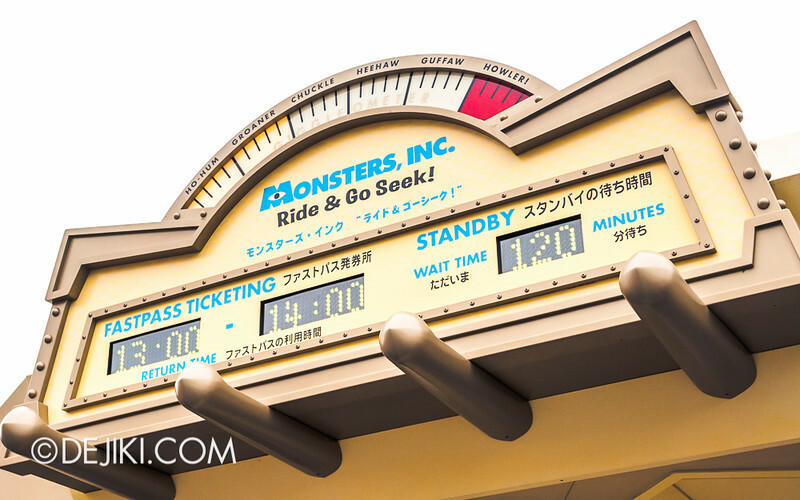 As a ride unique to Tokyo Disneyland, Monsters, Inc. Ride & Go Seek! is a definitely must-see attraction. Wait times are always very long throughout the day. 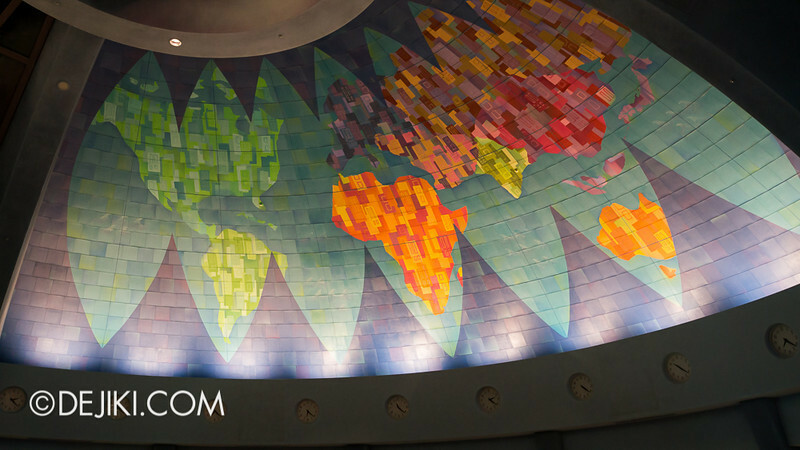 Do try to get a Fastpass in the morning, or spend the time waiting for another Fastpass here. 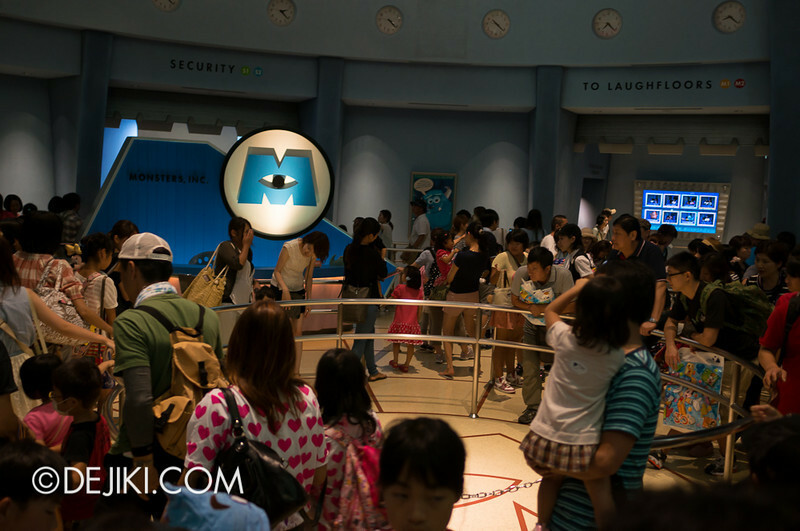 One Response to Tokyo Disneyland – Monsters, Inc. Ride & Go Seek!